The Alliance for Home Health Quality and Innovation's (AHHQI) Home Health Chartbook shows the percentage of home health recipients rehospitalized within 30 days of hospital discharge decreased by nearly 2% - from 19% to 17% - between 2011 to 2012 for the top 20 most common diagnosis. The overall rate across all post-acute care settings fro 30-day hospital readmissions remains higher at 18%. 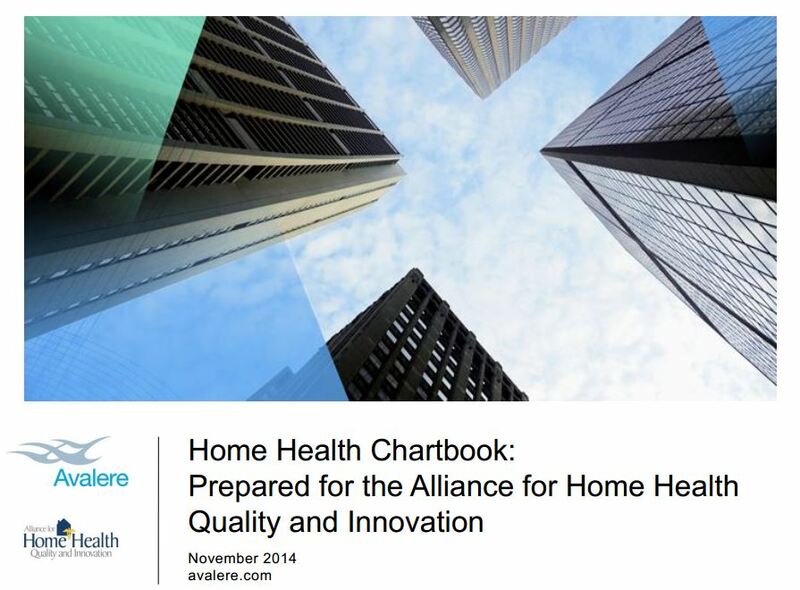 The AHHQI Home Health Chartbook summarizes and analyzes statistics from a range of government sources. In addition to declining 30-day hospital readmission rates, the Chartbook reveals that the national averages for home health quality measures improved in 15 distinct areas of care. Home health beneficiaries also continue to reflect an older, sicker and majority female population as compared with the general Medicare population. The number of home health recipients over the age of 85 increased from 24% in 2011 to 25% in 2012 and recipients with three or more chronic conditions increased just over 2% from 2011-2012. The proportion of female patients (compared to male patients) rose by nearly 3%. The full AHHQI Chartbook may be found here.